Where young children begin to make meaningful connections within the classroom and beyond. Young children come into the world with a breathtaking drive to learn. They are powerful thinkers, creators, and problem-solvers and make meaning through their relationships with the people around them and through their interactions with the environment. The Lower School is home to our nursery (3/4s), pre-kindergarten (4/5s), and kindergarten (5/6s) classes. Each classroom, its equipment, and its materials are tailored to the needs of young children. The curriculum focuses on concrete, hands-on learning through activities such as block building, cooking, and trips to explore the world beyond the classroom. 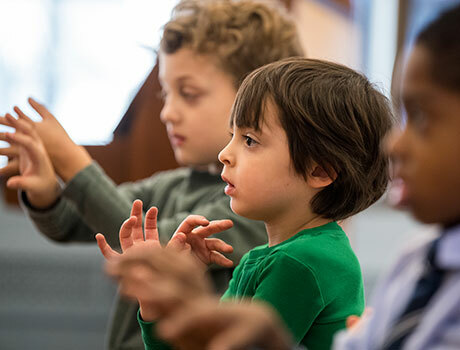 From the start, Lower School students make connections among disciplines and form questions about what they are learning. 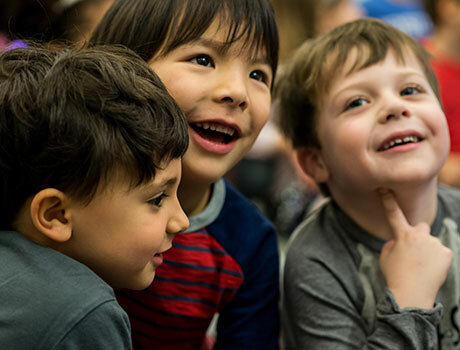 The core of the curriculum is social studies, and, through the lens of the human experience, children explore age-appropriate concepts in social justice, literacy, movement and physical education, Spanish, art and shop, mathematics, music, library, and science. 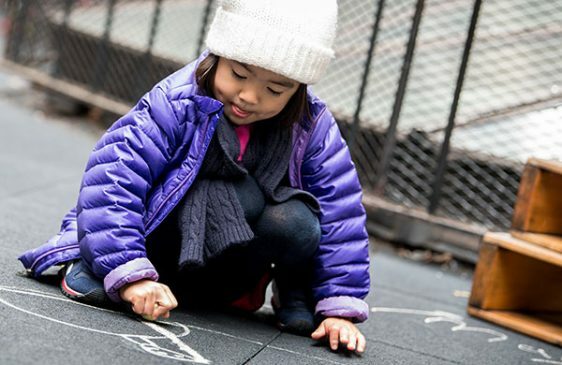 Whether the children are building with blocks, playing on our enclosed play deck, painting at the art table, or solving math problems with friends, their teaching teams are fostering each child’s social and emotional development, intellectual curiosity, and understanding of the world. Through play, children create and control their own versions of the world as they move toward more complex understandings. 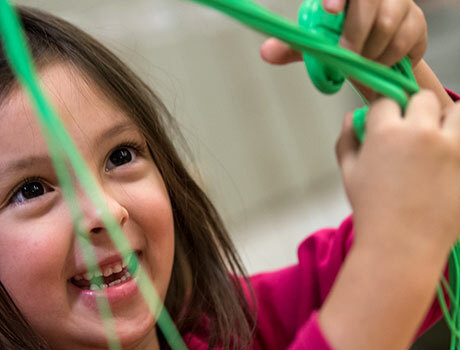 The experience of play offers children space to explore their salient social-emotional ideas about power, about danger and safety, about caring and being cared for, and about the fascinating details and workings of their human and material environment.